Poker Players Unite is hosting a Pokerthon during the entire month of November and December. Players are encouraged to sign up online and create a fundraising page to solicit pledges from family and friends. All money raised will help pay essential household bills for local families struggling due to a cancer diagnosis. 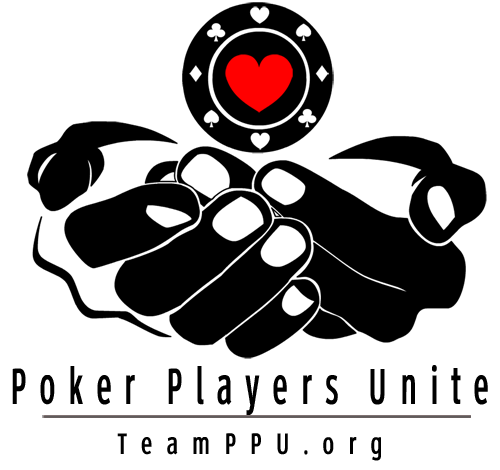 Poker Players Unite (PPU) has come up with a new and innovative way to combine our love of poker and helping others in need. We are proud to introduce you to The Pokerthon! The Pokerthon consists of the same rules you would see during a walkathon, but we have modified them to work on the live or virtual felt! The rules for a walkathon are quite simple. Foundations look for participants to participate in the event, and the participants look for people to sponsor/pledge a certain amount of money per mile they walk. Obviously, we won’t be walking miles around the poker tables, but tournament players can use the blind levels to raise money and cash game players can go by each hour played. Since The Pokerthon is not held at only one location, this opens up the door to be a nationwide event and can be done either live or online! 1. We would try to get as many participants (poker players) to play for a predetermined foundation on a predetermined day. 2. Poker Players Unite would provide them with the forms they need to keep track of their sponsors/pledges. 3. The players would get as many sponsors/pledges as possible and then send the forms back to PPU by selected date We would then keep track of everything here. 4. On the day of the event the players would go out and play their respective events and keep their sponsors up to date via FB, twitter, etc. Once they bust out or win, they would tell their sponsors how many blind levels they lasted and how much they owe. 5. The pledges/sponsors would then send a check to predetermined foundation, or make an online donation . They would include the word Pokerthon somewhere so we can keep track of how much was raised. This would also cut out the gray area of having to show where the money went. The players, PPU, and the other teams should not handle any money at any time. With our idea, even if the player doesn’t cash or win, they are still raising money for local families battling cancer! It’s a win/win for everyone involved! Plus the players can get creative and give away prizes to the top sponsor, do prop bets or last longer bets with other participants.